Ticket to Ride Europe is the second installment in the TtR series. This game is an excellent game to introduce many varied groups into boardgaming and is accessible to ages 10 and up. The premise of the game is to connect cities throughout Europe with the development of train routes. The game involves set collection through train cards and development of the routes through purchasing trains and claiming trackes sections to the coloured routes corresponding to train card colours. What is new in this series over and above the base game is the implementation of :mountain passes; which utilizes a random draw to determine additional card costs for certain routes, Ferried Routes; requiring the multicoloured wild cards be used to indicate greater engine requirements, and Stations; Stations get placed for free up to a minimal card cost that allow players to connect broken track sections that arwe occupied by other players to assist in achieving routes to cities that were otherwise blocked. Game length generally sits around 45-60 minutes depending on experience and number of players. This game is simple to teach to players that are new to the series and minimal instruction is required for those already experienced in other TtR variants. This area is always a strong point with Days of Wonder (who have thankfully raised the standard in board game quality and components). The board is a bifold design with nicely attired printing. The graphics on the route markers and corresponding cards is ideal for board gamers that may be colour blind. The train pieces are nicely molded plastics the same size as the route markers and rest evenly on the board. The cards in this version are a nice upgrade in size from the European small sized cards in the original. These cards are very nicely printed on a linen finish. Overall, the game is beautiful and functional. This game is a winner. Gameplay is simple but can be strategic. As a personal note, I’d prefer not to have stations as I think that this can detract from some of the strategic aspect of the game. Due to the extended and remote geography of the various cities in Europe, completing multiple routes can be challenging at times and players familiar with the base game are likely to complete less routes. Overall, I feel that the European map provides a nice variance to the original game and is worthwile to have in your collection alongside the original. My interest in San Juan started when I bought the app for my iPod. I could easily find myself getting lost in time as I built up my tableau of cards representing the buildings in a district of San Juan. I had not played Puerto Rico and therefore had no experience with some of the key mechanics of the game. I loved the variable role selections that were offered and the clever use of the dual purposed cards as both buildings and currency. It was a new experience in hand management and very enjoyable at that. San Juan is a card driven game where players are building up their own district in San Juan. Players start with a random selection of cards and a basic production building to get their tableau started. At the begining of the turn, the first player is considered the governor for the round (this role rotates clockwise each round) and select one of a number of roles that will give all players an identified action in the round. The player that selects the specific role gains an added benefit for that action. These actions will allow players to build (pay for the construction of buildings that are added to the tableau), produce (allowing their production buildings to produce goods), trade (allowing players to sell their goods), counsellor (permits players to draw a number of cards and select one of these cards), and prospecting (generally only affects the prospecting player allowing them to receive a free draw). Players build their respective tableaus by paying for and placing the buildings in their player area. The buildings themselves also afford special player powers and sometimes have cumulitive effects that are triggered by the various role selections. Buildings are divided into 2 categories: Production and Civic. The production buildings range from low value product such as Indigo up to the Silver Smelting which has the highest trade value. The Civic buildings afford players their various ability modifiers. These buildings range in effectiveness and usefulness, and like the production buildings, vary in cost that reflects the usefullness to the player. The end game is triggered when the first player fills up their tableau with 12 cards. In the round when this occurs, the round is completed and players tally their scores as reflected on the building cards. There is more to this game that I ahve not explained such as the use of the unplayed building cards as currency and the variable trading chart that reflects trade values. However, the basic fundamentals have been described. The game plays with 2-4 players but shines when played with 4 players. Gameplay with experiened players is generally around 35-45 min but much longer with inexperienced players as their is a steep learning curve to players that are not familiar with this style of play. The components of this game consist of the cards and role selection tiles. The copy that I have is the 2nd edition. The cards in this edition are a Eurpoean sized card and one that I find to be a little small, my preference for a game that consists entirely of cards is the American sizing. The artwork on the cards is simple and not very exciting, the description of the building modifiers can sometimes leave inexperienced players scratching their heads as they try to determine their meaning. Another issue is the confusing colour schemes with production buildings vs. the civic buildings. In the first edition, all civic buildings had a violet background and each production building had its own specific colour. This was a very simple yet effective manner to differentiate buildings. However in this edition, all the colours have been muted and the civic buildings now have an aged parchment colour that blends into the colour of the production buildings. I have found this to be barrier to new players as they attempt to learn this game. The cards of reasonable quality but I would have prefered a card with linen finish and more defined graphics and colour. Despite some of the production woes of this game, I have found that it provides some very strategic, and at times, challenging gameplay. Players are always in a position to decide between saving their cards to build higher point valued and effective buildings vs. completing their tableau quickly so as not to be too far behind the other players. There can be a noticible learning curve to this game if no one at the table has any experience with San Juan and players are being guided by the rule book alone. However, once players become experienced in this game, it can be a very rewarding play time with a very dynamic challenge. I love this game but realize that it will not be for everyone. I will preface this review by advising of my general lack of interest of Reiner Knizia games. While I appreciate that he is a very intelligent man and an accomplished game designer, I generally find his games lack theme and feel like an IQ quiz in boardgame format. That being said, this game sparked my interest in part because of its low cost and also for its large player count accommodation. Given that I’m also a sucker for Fuedel Japan, I thought that this would be a low risk game investment. The story behind this game is that each player represents a Fuedel Lord that seeks to overcome other clans and their respective castles. This is accomplished through players rolling 7 dice that have been designed with graphics to represent Infantry, Cavalry, Archers, and a Daimyo (sp?). Through rolling the dice (and susequent rerolls) players amass the military units required to conquer a chosen castle based on the military requirements listed on the card. A sinmple but effective mechanic in this game has players reducing the number of dice they roll based on achieveing the miliatry requirements for each castle. You are either able to conquer a single castle in a single turn or you aren’t, its that simple. Each clan has a number of castles ranging from 1-5. Each castle is assigned a numeric point value based on the difficulty to conquer the castle. If a player is successful at conquering all of a clans castles, the clan is deemed to be conquered and is free from being attacked (or stolen) by other players. However, if you do not hold all of a clans castles, you may find yourself subject to attack and lose ownership to a rival player. Once all castles have been conquered from the common playing area, the game ends and players tally their castle points. Gameplay is very simple and games can range from 10 min to about 25 min (in a 6 player game). As is in the case of any other Fantasy Flight game that I own, I have found that the components are of the highest quality. In this case, thats not saying a whole lot given that the components boil down to 7 dice and (I believe) 14 cards. The dice themselves are some of the nicest dice I have ever used. Whatever polymer they used almost has a bone texture and appearance. The embossings are clear and the coloration of the markings is uniform and distinct. The dice have rounded corners and roll beautifully. The clan/castle cards are 2 sided with the backs indicating the clan symbol/colour and one of the cards in the clan set also indicates the total value of castles and bonus for collecting all the cards in the clan set. The face of the card depicts individual castles, the military requirements to conquer the castle, depicted by symbols that are represented on the dice, the clan colour and castle point value. The artwork is simple and pleasant. The graphics are clear and therefore avoids confusion. Colour used in the printing is rich leaving the cards nicely attired. The theming of this game is almost irrelevant. While I do appreciate what the symbols represent regarding military requirements to conquer the various castles, I doubt that many people will appreciate this or even care. I do however enjoy this game. When played in the context of a light easily accessible filler game, it succeeds. There is some player interaction but that too can be avoided and can feel a little like a dice rolling competition at times. Overall, I do enjoy this game when played as a filler or introduction game before more substantial games can be tabled. I would recommend this game to parents of preteen children or for gamers that can enjoy very light dice games. Pandemic, the base game, sees much play time in our gaming groups. The base game is almost without fault, however, after repeated plays the game can feel overly familiar. This is where the On the Brink Expansion enters. Unlike the In the Lab Expansion, On the Brink does not fundamentally alter the game play but rather introduces 3 modules that serve to enhance this already great game system. As I have indicated above, the core aspect of the game is largely unaltered. Gameplay is still cooperative but introduces a number of additional roles that serve to refresh the proven gameplay of Pandemic. The introduction of the Containment Specialist, Generalist, Epidemiologist, and Contingency Planner (I may have missed a couple) are a great asset at different times in the gameplay. As well, new emergency assistance cards are added to compliment the cards in the base set. The introduction of resistant strains that make one of the virus strains more difficult to treat also creates interesting challenges without making the difficulty level unmanageable. In addition to the resistant strain, an addition strain can be introduced when players are ready to tackle a new strain caused by mutation. I would have to say, the most interesting addition that this expansion brings is the addition of the Bio Terrorist Role. I love that not only does this game more interesting, it also adds an element of investigation and in my experience changes the inter player dynamics in that they are not just playing against the infections brought on by the game itself but that the cooperative team is also pitted against another player. I love it. I have observed that the addition of these modules does not prolong the play time of this game. Games using this expansion are generally wrapped up in just under an hour, perhaps and hour and a quarter with the addition of the bio terrorist. The version that I purchased had the same styled painetd wooden pawns as the original game. The new infection cubes are purple but are a match in size and composition as the original strains. I have viewed newer editions that replace the wooden pawns for plastic, I have found this to be largely irrelevant. The cards that are included (roles, epidemic cards, and the new emergency assistance cards) are the same size and quality cardstock as the 2nd generation Pandemic. The artwork is nice and in keeping with the base set. I will note that the aspect that impressed me the most was the inclusion of the petri dishes that the infection cubes can be stored in and the plastic insert that houses them. I have found this be a very thematic and practical asset to storage of the base game. Overall I was impressed in this category and would recommend this expansion if for no other reason than the petri dishes and box insert. As you can see from my comments above, I am very impressed with this expansion. I am so satisfied with On the Brink, that our group no longer plays Pandemic without this expansion. Any expansion that does not alter the fundamental charecteristics of a game and does not substantially increase the playing time of a game is a winner in my books. When I recommend Pandemic to new players I always advise that they also pick up a copy of On the Brink as well as it completes this already great game for me. Sushi-Go is a simple and fast card drafting and set collection game. All players start by receiving a hand of cards (dependant on the number of players) for which they draft/play various food related items in a sushi bar by which they score points. Players act in a simultaneous play mechanic that goes as follows: 1.Draft/Play card from their hand to their tableau. 2. All players pass their hand of cards to either their left or right and receive a new hand of cards from their neighbour. Play continues until all cards are depleted. Gameplay is fast and efficient and is comprised of 3 rounds. A game typically lasts 15-20 minutes. Players score points by either collecting card type sets or card combinations. The scoring mechanism is very simple and reflected on each card. Sushi-Go is a card game, the only components to speak of are the cards. The cards are a Mini-Euro sized card. While I’m not normally a fan of this size of card as I find them to be too narrow, I would agree with the publishers choice as this game is primarily a family game and smaller cards fit well into smaller child sized hands. The cards are reasonable quality and are nicely adorned with simple but cute artwork depicting various food items that have been personified. The rule book is very easy to follow and nicely describes gameplay and scoring conditions. Another highlight of this game is its packaging. Sishi-Go comes not in a cardboard box but rather a sturdy tin case that is beautifully illustrated and inked. The tin was a nice touch. Sushi-Go is a winner. Everyone in my family is eager to play this great little game. Gameplay is intuitive, fast, and enjoyable. I suspect over time, Sushi-Go may even receive wide distribution and go down in the hallows of a great family card game the likes of Dutch Blitz or Uno. If you are a parent seeking a great family level card game for children with shorter attention spans, I can’t recommend this game enough. This game is incredible! I’m always looking out for games that can be played by my family and are simple to learn/teach. I love the idea of a spy themed game and since this game was listed as having an average playtime of 15 minutes, I figured it should fit the bill for our household. The beauty of this game is its simplicity. It is a 2 player game in which each player receives 2 teams of spies consisting of player decks numbered 0 – 9 (and a picture of the spy corresponding to its number for thematic purposes)and 5 chits per player that are used for changing spies out of their safe house and back into player hands. Each player lays 3 of their spies face down, representing 3 safehouses in the field. The other player presents a spy from their hand or safe house in an attempt to match the number of their spy to that of their opponent. If the challenge is successful and there is a match, the player who had been guessed looses a safe house. Play continues until all 3 safe houses are revealed. This is essentially the game (obviously there are more rules but this lays out general gameplay). This is a microgame put out by the king of microgames, AEG. The game consists of 22 cards, 10 cardboard chits, a box, and a rule sheet. The cards themselves form the majority of the components for this game. They are beautifully illustrated and are quality cardstock in standard 2.5 x 3.5. The chits are coloured to match player decks (Blue and Red) and are decorated to look like the rear reticle of a scope trained on an enemy agent. The instructions are clear and concise . This game is excellent for what it is intended to be, a quick filler, or a light family game. Don’t make the mistake of picking up this game while looking for an indepth whodunnit style game, it simply isn’t here. The game is simple and light enough for children to play together, or adults to play with their children. I would recommend this alongside other games like Love Letter or Lost Legacy. Nice little filler game to play while you wait for your waiter to bring your dinner. In our gaming group we see frequent play of Pandemic and the expansion On the Brink. So when we heard that a streamlined dice based version of one of our favourite games was released, we were understandably excited. We got this game home, cracked open the box and ripped through a few games. So what was our experience of this game like? Anyone who is familiar with the Pandemic game system will find this game to play out intuitively. Many of the same actions that could be exercised by players in the original are present here with the odd exception which accounts for the dice nature of the gameplay. The Cure is a cooperative game with the same theme as its older brother. Four diseases are ravaging the world and its your job as CDC agents to stop it. No new roles have been introduced in this game and it retains only the most common/effective roles of the original. Where this game departs from the original is length of game time (about 30 min now), decreased complexity, and the process by which diseases are handled/cured. The game is engaging to a lesser degree than its older brother, which is often the case in dice variant games. The game comes without a board and instead uses numbered coasters to represent the different geographic districts of the world (I’ll get to this later while discussing components). While it takes very little room to play, I felt that the transition away from the board strongly effected player engagement and gave it much less of a global feel that the original game possessed. The yahtzee style/push your luck mechanism by which players execute their turns contributes to faster gameplay than the cards of the original (albeit more restrictive). This game consists of numerous quantities of 4 coloured dice that represent the diseases,individual player sets of 5 – 7 dice that players use to determine their actions during the round, cards to denote player identity and CDC assistance cards, a plastic ring that represents the treatment area and infection/outbreak scoring track, a cloth bag to house the infection dice, and numbered coasters to represent 6 different geographic zones of the world. The components in this game are of very good quality, the dice are deeply embossed, the plastics used for the board are heavy and nicely painted. and the cardstock is of good quality including the role identifiers that are made to have the appearance of security ID tags. I can’t complain about the quality of the components. However, because the game is arranged in a manner that has a single ring in the centre of the table with a concentric ring of sequentialed numbered coasters surrounding it, it has definitely become nebulous in its appearance. The original game for me benefited form the fact that the world was clearly represented with game board. It was engaging and had the feeling that you were overseeing a global operation, this game simply does not have that feeling and to that extent feels much less engaging. While this game is a pale comparison to the original, I still found it to be enjoyable. Games play out much faster, and with greater simplicity. We have 2 children under 12 and were able to teach this game to them quickly and observed that they were able to grasp all aspects of play within this game, definitely not something I can say of the original. While the fact that this game is not supplied with a board (which was a major detractor for me), it is portable and small enough that it can be played on much smaller surfaces. The Cure has managed to stay faithful in its game play to the original while simplifying and increasing accessibility to new younger players. I wouldn’t recommend this game as replacing the original but have found that it makes for a nice alternative filler game. I’m always on the lookout for games that can be enjoyed by gamers and nongamers alike. While I do love games with more strategic depth, there is something to be said for a game that can be taught in less than 5 minutes, requires almost no set-up, and can be enjoyed by nearly everyone. After watching some very positive reviews on Bang the Dice Game, I decided that the small investment on this game would be worth a try. What did I find out? Anyone who has played the original card game from which this game is derived can speak to the fun of reliving gunbattles of the wild west, facing attacks from angry indians, and risking the explosion of dynamite while trying to accomplish their objective. While the original card game can be fun, it can also be encumbered by the many cards introduced by the expansions causing the game to drag out into a lengthy playing session. Fortunately, Bang the Dice game has corrected this potetntial problem. Players are assigned roles like in the original including the Sheriff, his Deputy, the Outlaws, and the nefarious Renegade. In addition to this, aysemtrical character cards are assigned that afford special unique abilities to each player. Replacing the cards is a set of 5 dice that take care of the players actions. Players role the dice in turn utilizing a Yahtzee style mechanic, 2 rerolls are permitted and players resolve the actions indicated on the dice. These actions include shooting 2 ranges of other players, arrows (representing indian attacks), beer (for replenishing wounds), and the problematic dynamite. 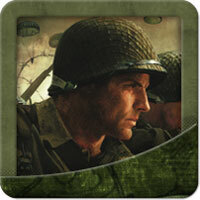 Gameplay is very fast and engaging, players are never left in a situation of AP, and the game flows very smoothly. Even 8 player games can be wrapped up in under 15 minutes. The game comes complete with role cards, character cards, life markers (represented by bullets), arrow tokens, and 5 dice. The artwork on the cards is simple but attractive. The card stock chits are nicely prineted on quality thich card stock. Best of all are the integral part of the game, the dice. The dice are large, deeply embossed, and silk screened/painted with bright colour. The graphics on the dice can be easily seen by anyone at the table thanks to the wonderful size of the graphics and dice. They are substantially weighted as far as dice are concerned and roll beautifully. For the relatively low cost of this game, the component quality is very good. The instructions that are included in the game are clearly articulated on a single sheet of paper and also include more detailed instructions of character roles, an alternative 3 player set-up , and character ability distinction. Bang the Dice Game should be an obvious choice as a party or family game. As indicated above, the game plays very quickly and players are continuously engaged thanks to the very short player turns. Gameplay is very interactive as players try and flush out hidden roles and attack other players. I would recommend this game to anyone and would chose this game over the original Bang everytime. Given the many reviews I’ve read here on this game, it’s difficult to identify anything that hasn’t already been said. However, given that this review process is subjective and individual in nature, I’ll provide the experience I’ve had as it relates to family gaming. For those who have already played and enjoyed pandemic, you’ll find this game mechanic to have a similar feel (same designer). This games sets an intrepid group of treasure hunters out on a fly in quest to loot 4 temples on a sinking island. Players will have to work together using their specialized skills to grab the 4 treasures and get back to the helicopter for lift off before the island sinks. Given that this game is very simple to teach and is cooperative, it lends itself nicely to family game nights with children 10 and up. As I’ve indicated above, learning/teaching the game is very simple as it is not bogged down with extraneous or complicated rules. The instructions are very clear about set up and game play. Turn sequences are shirt which keeps the game flowing smoothly for all players. As in all cooperative games, Alpha gamers can Sometimes squash quieter if less assertive players. Communications between players becomes essential and in my experience is great for connecting families together in a positive experience. After a few initial plays, games tend to last 20-30 minutes. The components amount to a couple of decks of cards, island cards and player cards, as well as individual tiles that represent specific locations on the island. While this game probably won’t win any awards for its artwork, the component quality is good and the artwork is sufficient. The strength of this game is its simplicity, while Forbidden Island may not see much table time at a gaming club for this reason it is exceptional at introducing non gamers and older children to cooperative gaming. I have been using this game as a gateway to new players and enjoy playing this game with my wife and young daughters. The game is both challenging, engaging, and enjoyable. My brother had been at me for a while to pick up a copy of Bang as he had recently learned the fun of the Hidden Role style of game. He wouldn’t stop talking about the great game play of Bang and suggested that I was missing out. Since he lives too far away for me to play regular games of Bang with, I decided to pick up the iOS version. I found that Bang was an excellent game. Considering my enjoyment of Bang, it was a natural choice for me to pick up a copy of Samurai Sword. I have always had a fascination with the Japanese culture and thought that Bang applied to the Japanese Feudel system was just too cool to pass up. What did I discover? Samuarai Sword is a hidden roles card game that has assymetrical powers afforded by character person. The Shogun is immediately identified at the start of the game, he is leader of the Samurai. Samurai covertly play a support role to the Shogun and serve to protect him from attack by attempting to weed out the enemies of the Shogun who are trying to kill him. Ninjas are the avowed enemies of the Shogun and work towards killing and stripping the honour of the Shogun and possibly his Samurai. The Ronin, also a covert class, initially acts as a Samurai (to attempt to confuse the Shogun) by eliminating the Ninjas, once Ninjas are eliminated, they are free to attempt assination of the Shogun (which is their true mission). While gameplay is initially very similar to Bang with regards to differring weapons having different ranges and armour to prevent attack that is where the game plays similar to Bang. Players are never truly eliminated, as in Bang, if players are stripped of all their health points, they become harmless until their next turn and must forfeit one of their honour points. Harmless players can not be attacked. Players are also considered harmless if they find themselves to be without cards in their hand. If any player is completely stripped of honour the game ends and all points are tallied to determine the winning team. Depending on the amount of players, the game can range from 20 minutes to a little over an hour. I found that the game play was unnecessarily bogged down with accounting for armour, initiative, weapon types, and unique player powers. This is the same criticism I have of Bang. However, what I found to be of detriment to the game was the implementation of the honour system and the harmless state in which characters could find themselves. Players are never truly eliminated, which slows down the game and the application of these rules almost suggest a reincarnation of players that were otherwise dead. I always find this to be a flaw in a game. The cards, honour chits, and health chits are the only components to speak of here. The cards are an American standard size and the card stock is of good quality. The illustrations on the cards are fine but not great, at least to my tastes. The titles of the cards is another point of contention. I have no issue with the titles themselves, what I don’t care for is that this is a Japanese-esque game and the titles are in Italian written in a Japanese styled font. Why do this the game is a distinctly Japanese flavour written in English with Italian card titles, its ridiculous. The chits are a thick quality card and display a heart(health) and Lotus Blossom(honour). I realize that when reskinning a game it is necesary to make essential changes in order to differentiate games, the question becomes if the changes are positive or negative. In this case, I would have to say negative. Gameplay is bogged down with characters not being eliminated, the harmless aspect (characters not being able to be attacked when the are vulnerable), and the honour system that leads to a semi-complicated scoring mechanism to determine the winner. While this game is not horrible, it is also far from great. I’m giving this game a 6 on 10. This review will be short. Most people that have arrived at this review have likely played Ticket to Ride (the board game) and therefore a review of the board game version is redundant. What I’ll be reviewing here is the presentation and gaming experioence of TtR Pocket. The version I have is on my iPod. Obviously the game size is limited to the players screen. I found that even on the iPod, the game was presented in a size and format that was easy to view and the cards could be readily observed in the bottom of the screen with a number over each card to indicate how many of each colour was possessed. The music is very pleasant but can become irritating after repetetive play. The artwork is true to the game board and blue tooth linkage is very good for multiplayer mode. This game plays much faster than the board game it represents as there is no set-up or take down. When playing solo, I can buzz through a game in about 20 minutes. That brings me to the last point. The fact that you can play this solo vs. the Apple device is worth its price alone. I find that this game comes out while at the coffee shop and waiting rooms at the doctors/dentists. Another boon is that my daughters can enjoy a game between devices while on long car trips. If you have any reservations about making this small purchase for the program, don’t. You will never regret making the plunge into TtR Pocket! When it comes to selecting games, I’m always on the lookout for games that my wife can get into. We enjoy games in our family but trying to get my wife to try something new can sometimes be difficult. If I came home with Twilight Imperium 3, I would be greeted with a look of wistful disdain followed by regret for buying yet another game my wife won’t play. This game is a trading, set collection, hand management game. In this 2 player game, both parties compete to collect resources of varying value at the market place. These resources are purchased using commodities in the players hand and or camels in the players herds. The clever hand management mechanic ensure that players are not hoarding resources as they are restricted to 7 cards. Players are rewarded for being the first to purchase tokens or by purchasing multiple tokens in a single purchase. The rules are very simple and the instruction book is very clear in its presentation. Learning time is very rapid and players will achieve moderate proficiency in a single round of play. This game can be taught to new players in about 5 minutes. Game play is fast and engaging. Being that this is a card game, there is no board to speak of, components are restricted to cards and chips. The cards are an American Standard 2.5 x 3.5 cards. These cards are very colourful and are beautifully illustrated. I would recommend sleeving these cards as they will be shuffled and handled frequently. The chips are approximately 1″ in diameter and are cardboard. They have 2 sides, one represents the purchased good, the other indicates it’s monetary value for scoring. The side with the depiction of the goods is very nicely illustrated, the monetary valuation side is very dull in appearance. I find this to be a non-issue as the number is large and clearly displayed. We have a winner here. My wife enjoyed this game very much and has been added to the list of games we can enjoy together. Game play is rapid, smooth, and free of conflict. The game sets up quickly and can be played in under 30 minutes. This game is definitely a keeper. Great game for husband and wife. I foolishly tried to jump right into the game without watching the tutrioal. I assumed that a card based game would be intuitive and very simple to pick-up on the fly. I was wrong. Never having played the original San Juan (or Puerto Rico) the tutorial was essential. Once I went through the tutorial, I observed that there was an excellent game here. The mechanics in this game were new to me. The cards themselves represented different buildings that could be constructed in the city of San Juan of which the player is responsible. These cards also display a number that indicates their building cost and the benefits that a player will glean in the collection of cards. These cards themselves don’t only represent buildings but also are used as the currency to construct the various buildings. There are other aspects to the game with regards role selections that afford different benefits to the players. Once the very clever mechanics of the game are understood, this game is an excellent game. Since this is an IOS game, there are no components to speak of. The presentation of the cards and playing screen are simple yet elegant. Gameplay is fast and smooth without any hesitation or lagging in the programming. If players are familiar with the games of San Juan or Puerto Rico, the learning curve would be greatly diminshed. Gameplay is interesting having variable difficulty levels and strategy is at a medium level. Once experienced, players can expect a game to last 10-15 minutes. At the games low cost, it is definitely worth the investment. While in a gaming group session, it was recommended to me to pick up a copy of Dixit for gaming nights with my wife and daughters. The other players indicated that this game was similar in nature to Apples to Apples. Upon hearing this, I was immediately turned off the game. While my daughters enjoy Apples to Apples, my wife and I found it difficult to bridge the age gap between us and our daughters. After some thought and viewing some excellent demo’s on Youtube, I felt that it was time to explore Dixit, afterall, quality time with my family is the highest on my priority list. This is what we experienced. This game essentially is a social expression of a Rorschak(?) Test. Players receive pictographic cards that are like stills in an unknown story. The active player (player whose turn it is) selects one of these storyboard cards and gives some sort of hint as to what the pictograph relates to them, and hopefully at least 1 other player. The other players then submit cards from their own hand that they feel best represents the clue given. After this players vote on whose card they feel belongs to the active player. Gameplay is very simple. Set-up time is also very rapid and the game teaches easily in about 5 minutes. The scoring was interesing and I feel was actually a very strong point of the game. However, what I found to be the strongest point is the level of social engagement that players will make during gameplay. Let me tell you about the artwork. The storyboard cards are absolutely stunning! Sometimes I find myself looking at these cards actually wondering if there was an actual story that they depicted. The playing board, in my case it was a board and not just the box, is also very well illustrated and laid out very simply. I can’t overstate enough how beaultiful the artwork actually is in this game, it almost evokes dreamlike images! The only quible that I have with any of the components is the bunny player pieces. While they are nice and the colours are distitinct, they are not balanced sufficiently when standing upright and are often prone to falling over if incidental contact is made with the pieces or if the gaming table is bumped. When the pieces fall over it can create confusion as to where on the track the piece was originally located. The bunny pieces are well suited to the game but should have been designed with more practicality in mind. Again this is a minor quip. We are very fond of this game for anumber of reasons as cited above, however, the greatest strength we have experienced in this game is its level of social engagement. At times these cards can become a mini window into your childs soul. The conversations that occur after the round is complete as to why the child chose their clue is what makes this game worth its weight in gold. These moments allow the family to make stronger connections to each other and can provide times of laughter and appreciation for each other. For family game times, I can’t recommend this game enough! At its heart this is a bidding game with set collections. Players bid at various ports on black market commodities vs. other players. These commodities are collected and traded in for victory points, essentially, that is Cargo Noir. The game is not difficult and is easy to teach, gameplay is right around 1 hour. Well, since this is a DOW game, you can assume that the components will be top shelf, and, they are. The modular boards have great art with heavy card stock, the cards themselves are nicely painted, and the ships and coins are outstanding. Days of Wonder always delivers in this area. This is a game that I was very excited to play due to its exotic theme. Dangerous marketplaces, swarthy mob members, and stolen/black market commodities, who couldn’t love this right? WRONG! The theme in this game was as thin as tissue paper. This game could have easily been rebranded as children bartering for toys at different stations in a Daycare and there would have been no difference in gameplay. I love a game where the theme is so integrated to the gameplay that it becomes an essential component of the game. This is definitely not the case here. This brings me to the next question. Can a game that has failed so badly at garnering the essential theme be a fun game? In this case I would say YES. Despite the games weak theme, the game is enjoyable to play and often hits our table primarily as a gateway game for friends and relatives. We have never heard any comments that the game was not enjoyable and in fact we have had requests for repeated games. If you are looking for a gateway game that has strong player interaction and is simple to teach (but are unconcerned with a weak them) this could be your game. Enjoyable game and weak theme is what you’ll get in every box of Cargo Noir. Challenge accepted. Since I have 2 daughters at home, I thought that they may be more in line with this obviously feminine theme, and for $8 I knew I couldn’t lose. Once we got this home and played through a few rounds I realized something that I think will become apparent in the rest of the review….. This game is VERY simple and can be learned in minutes and taught in seconds. Despite the fact that the game is simple, gameplay is very engaging and player interaction is the heart of this game. Players only possess a single card in their hand until it is their turn. At that time they draw a single card and must play one of these 2 cards and carry out the cards action. Its really that simple. The card art is very nice. The cards themselves are the standard 2.5 x 3.5″ player cards. I highly recommend buying a quality sleeve for these 16 cards as they will be shuffled continuously and will likely show wear in short order. The came came in a plush velvet game with golden lettering and 13 red cubes that are used as counters. While the bag is convenient, it certainly does an outstanding job at convincing male players to “stay out”. I don’t care for wooden cubes and have therefore replaced the cube counters with coins, but thats just a personal preference as the cubes work fine. This is a FANTASTIC game. My family loves it, I love it, everyone I introduce this game to loves it! We bring it with us when we go to resteraunts, coffee, or the doctors office. The game plays very quickly and can litteraly be played anywhere. The theme of the game is almost non-existent and I suspect that if this game was released as something skinned as a dungeon crawler or a wargame guys like me would have been onto this game from the start. Excellent game. You will not be disappointed. Okay, here we are with another TtR expansion. Sometimes games with multiple expansions can feel tired or contrived leaving the gamer with a feeling that I call “gamer fatigue”. I am pleased to say that this is not the case with TtR Switzerland. This edition has been described as Allan Moon’s favourite expansion and, after playing it, I can see why this is an obvious choice! Players of the TtR series will experience the same mechanics that has made the series so popular. What is new in this box is the addition of route cards that allow you to connect country to country and city to country. These individual cards (country – country)also allow for multiple options that give more flexibility to play. I have never timed one of our games but am always left with a general impression that this is the fastest game between this and their other 2-3 player expansion Nordic. I will always sing DOW’s praises in this category, they simply create beautiful games with robust components upon which they have built an excellent reputation. This expansion is no exception. While in my opinion this is not the most attractive in the TtR line-up, its also not the worst. The artwork and cards are what you would expect for DOW. As I’m sure you can figure out based on my information above, I really like this game. The artwork is nice, gameplay is fast, very fast, and the addition of the new variety of route cards is what makes this game outstanding. My wife and I love this game and can rip through a few games in a short amount of time. This is my likely favourite map in the TtR series, you won’t be disappointed. I love playing board games (obviously why I am here), unfortunately my wife does not share my same level of enthusiasm for the hobby. She does enjoy games on ocassion but is very specific in what she is willing to play. Because of this, finding game that we can enjoy together between only us can be challenging. Fortunately, in TtR Nordic we seem to have landed on a winner. TtR Nordic plays much like other games in the series, there is nothing new introduced here except for the plaer size and route accessibility. The game plays 2-3 players but I have found that 2 players is ideal. Three player games are fun but could be equated to playing a 4-5 player game in the original version, the game can be played but you are apt to experience a high level of frustration caused by having your routes routinely blocked by players in pursuit of their own routes. Nordic does not disappoint in this department. I find that the artwork in this rendition is actually the best in the whole series. I love the northern feel of the map and cards. The selection of the train colours of Purple, White, and Black are beautifully mached to the map colours. I couldn’t help but get a sense of a Christmas atmosphere given the display of snow and the Nordic man that looked distinctly like an elf to my eyes. Great 2 player game. Excellent artwork with proven gaming mechanics. Works well for husband/wife gaming experiences as most routes can be accessible to both partners without too much required adjustment (and won’t result in the other spouse sleeping on the couch). TtR Asia is a welcomed edition to the TtR line. In this expansion players are given more options for game play in two ways: The double sided game board presenting 2 styles of play and other geographic considerations; the introduction of team play. For players that prefer the standard format of individual play there is the Legendary Asia map. As in the case of most other expansions there is only minor variance in the classic rules (in this the contribution to the state). For players looking for something more engaging, flip the map over and enjoy team play. This has been a well conceived and implemented rule in the series. Players work on personal objectives having their individual routes while simultaneously contributing to the teams player deck and completing team routes. As in all Days of Wonder games, the artwork is exceptional. Their development of the map series has been very good in providing more variety in this platform with the double sided game board. It is always appreciated when I receive 2 games for the price of one. It is my hope that DOW will continue to release editions that incorporate team play as it has been so successfully applied here! I caught on to the buzz surrounding AS after reading some posts on BGG. After watching a number of reviews I was convinced that I needed to pick up a copy of this game. Typical deck builder mechanism fashioned after Dominion. There are 2 commodities used for the purpose of recruiting members of your tribe, food and medicine. Due to the excellent graphic symbols on the cards, confusion is minimal. The deck building mechanism used here is past proven and functions well in this game which will translate into easy teaching of new players. The art in this game (RGG version) is excellent and in my opinion is what creates the strong thematic element of the game. The card art is outstanding and creates an image of a dystopian post-appocalyptic waste land. After numerous game plays, I have found this game to be very replayable. It is essential to play using the included HQ expansion, without the expansion (which is included) the game is somewhat dry and lacks flavour. I did find however that the inclusion of the buildings was of very little significance in most games as the time required to hire an Engineer then get him into your hand before being able to start construction, not to mention the construction time, was too great an often times resulted in buildings being fully constructed just as the game was ending. This game has some level of player interaction but could feel at times as though you were playing multiple solitaire (skirmish being the only exception). The game is fun and plays quickly and in time could benefit from a well conceived expansion. I have seen the expansion Deception in a rough over view, it did not look good, however that remains to be seen. We have recently picked up Pandemic as well as the expansion On the Brink for gameplay in our group. I had played this game previously in another group and after explaining the cooperative play to our family/friends we decided to take the plunge. We were not disappointed. This gameplay is very simple in this game, the rules are well explained and refernce to the manual during initial play is minimal (which I consider to be the mark of excellent instructions). The roles are cleary identified with some outsanding asymetrical abilities that lend themselves nicely to cooperative gameplay where the individual players can take distincive actions during their turns. The components are quite nice even though simple and the cards and board is nicely attired with a very strong feeling of a global mission/WHO/paramilitary feeling. Perhaps the greatest achievement of this game is its ability to create a strong thematic tension that at times borders on desparation. Can we stamp out these viral outbreaks in time to find cures and hopefully save the world from a global pandemic. We never felt that we had enough actions in the round to complete the tasks that were before us and there was always an impending sense of the doomsday clock ticking. I can’t recommend this game enough, thematic tension, necessary player interaction, and simple gameplay with difficult decisions ensure that this game will be a timeless classic! 5 Stars all day long! When submitting your market bag and making your declaration to the Sheriff, don’t feel that you have to come on bended knee. Having confidence can bolster your statement. Encourage the Sheriff to pop open your bag and remind him of the penalty he will pay when he does so. Just keep in mind that this tactic is not to be used every round or it will quickly loose its edge. Obviously the key to gaining power quickly in this game is have a handful of the same faction cards coming up in each hand. Unfortunately, your chosen faction may not be available and may have cards buried deep down on the trade deck. Overcome this by buying up cards in 1 other faction. This small diversity can still lead to the use of faction powers and opens the doors to you when making purchases out of the trade row. Since the central importance of this game is secret roles. I can’t recommend enough, sleeve yours cards. These 16 cards will be shuffled continuously. The only way to prevent overt markings is through sleeving. It is imperative at the beginning of the game to make the extra effort in obtaining and building higher valued production buildings like Silver Smelter or Coffee Roaster. The extra cards coming in is essential for investing in necessary higher point cards later, and it will give you a quick advantage over other players. Sometimes it is better initially hold off on building if you don’t have one of these two cards and play the role of the counsellor (allowing you max opportunity to locate one)for a round or two max. Generally, starting off strong in this games equates to ending strong! While Sashimi is great for 10 points and to a lesser degree with Tempura at 5, it requires set collection that may not be available. During your first round you should be concentrating on Chopsticks, Dumplings, or Nigiri as the Nigiri and Dumplings can afford you quick and instant points on their own. The chopsticks will allow you to double up in later rounds when you know what cards are circulating. By looking around at other player tableaus it will give you an idea of whether others may be seeking those higher priced items that you may have to compete with. We have found that especially in the case of Jaipur, because the cards are being handled and shuffled so frequently, that it was absolutley necessary to sleeve the cards. The card size is the Standard American 2.5 x 3.5″. Since building up your tribe numbers equates to victory points, it is important to consider building up large point cards to build up your tribe. Group Leaders, Sniper Teams, and best of all, Thugs will build up your poits in a way that you can’t always get from Contested Resources. Don’t get me wrong, Contested Resources can be great but if you are spending all your resources in concentrating on the skirmish against other opponents for a fight that you may or may not win, consider buying these guaranteed tribe members instead. When I play in our group, I have a few members that focus heavily on contested resources, they are always surprised when I focus on hiring these high valued specialists and end up winning. Remember its all about collecting high point valued tribe members. I have found that the key to this game is to start with the highest value production card that you can get. The Silver mine or the Coffee prodecer will yeild the best return of cards that are so important to gaining the advantage early in the game. Without these high producers at the earliest time you will quickly fall behind in building up your city before your opponent does. Without these building values you could be left with significant point shortfalls. As the resource tokens start drying up, consider staking up on your camels. When the last row of chips get bought up, you’ll be in to collect the largest herd token. On another note, if multiple of the same resources come open near the end, you’ll have the camels to make the big purchase and get the bonus tokens for your big purchase. The tactic is a win/win for the player! We have adopted the following house rule when using the Dispatcher: Since her current abilities to only move other characters is so limited, we decided to expand this role to include the use of the abilities unique to the character she was moving. It stands to reason that if a true dispatcher assigned a team member to attend a location, it would be assumed that that individual would act in the capacity of their role using their commensurate abilities to complete their assigned objective. The key to this game is to continuosly garb route cards. Because the Country map is so easy to navigate and there are so many duplicates to the route cards, it is imperative to continuously load up on route cards. Route cards are not cycled back into the deck. When they are drawn, they’re gone. Better in your hands than your opponents! So far it’s been Archaeology, Baseball Highlights 2045, Odin’s Ravens and hopefully a game of Trains. This weekend has been good for gaming: Tides of Time, Trains, Incan Gold, Archaeology, Las Vegas, and Dominion. So far we’ve lit the weekend up with Piñata, For Sale, Ticket to Ride:UK, and Dixit. I’m hoping to get in some X-Wing and Trains:Rising Sun. We got some DC Deck Builder and some Dice Masters in. Was hoping to play some Jamaica and Formula D but other family obligations got in the way. Congrats on being The Man this week.Age of War is definitely a fun filler game! Probably Pandemic In The Lab, I’m also hoping to break out with Temporum. We found a copy of Cards Against Humanity in our local thrift shop. I couldn’t believe how much we laughed over such a stupid game. We also got into Jaipur, Love Letter, and Dice Masters. I’d love to get my hands on a copy of For Sale! I just introduced my family to Jamaica for the first time tonight. Great game for our family! Red Shirt Rob – I didn’t see a response to your question about the Deluxe Version cards. I don’t have the base game and have never handled them so I can’t draw a comparison. I can tell you that the card stock is thin and the cards have a natural curve to them as you have indicated. I love Crokinole and a newer Canadian invention: Hockinole (Hockey+Crokinole). This seems like a great addition to our finger flicking game collection. Anticipation is building. Looks like this will be a great game to introduce to my family and friends. I look forward to reading/watching some reviews on this expansion. The original game was a decent experience, a nice change from Dominion. Having read the proposed expansion created by the author, I got a little concerned. Aparantly, RGG went with something different than the proposal. I’m hopeful that this will be a good expansion but am concerned that AS might just be a one trick pony. Hopefully the inevitible reviews will parse out the quality of this expansion. Like the other expansions in this series, this latest edition is modular as well. We’ve only played the Hinterland Challenge (transmission of illness from animals to human). There was no noticeable change to the difficulty (as implied in the rules) and aside from altering movement/trading in certain cities and the addition of a die to infect the Hinterlands cities, it just felt like more of the same. I’m hoping that the addition of the other modules will change up game play in interesting and thematic ways. Sign me up for Trickster! I agree. It would be nice to have a single box that could consolidate all the extra boards, cards, and tokens (and petri dishes). Much more convenient to take one box with everything inside than 4 smaller sized boxes. This looks like a great game. Has anyone here played this? What are your impressions? I have been involved in boardgaming since the early 2000's when my wife and I were introduced to Settlers of Catan and shortly thereafter Ticket to Ride. Year after year our collection grew slowly with proven hits from Days of Wonder and Mayfair Games. Only in this last 2 years have we really pushed into the boardgaming world in a big way. In 2014 our collection of games grew with over 40 games added to the heap. Categorizing myself into the gaming fields presented is difficult as I'm a combination of a Family Gamer, Casual Gamer, and now recently and Avid Gamer. I generally lean towards games that are 90 minutes or less. While I enjoy some heavier strategic games, it is difficult to convince my family and circle of friends to play these games. As it stands now, games that hit my table the most tend to be lighter family styled games that would include anything from Days of Wonder or Game Wright. Luckily for me, our gaming sphere is expanding and with it more opportunities for gameplay and increased variety of games. I love this hobby!